(16/P75) TRENTON – Harvest the Bay Day, an eco-tourism event to raise public awareness of the sustainability of the Barnegat Bay Estuary, returns to Island Beach State Park on Saturday, August 13. The event is scheduled from 11 a.m. to 3 p.m. at the Ocean Bathing Area 1 pavilion. The event is free with park admission. In case of inclement weather, the rain date is Saturday, August 20. 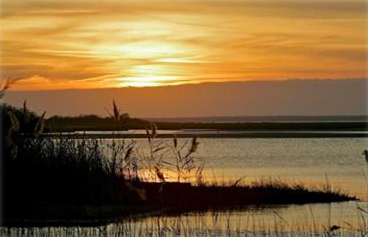 Harvest the Bay Day aims to foster the public’s appreciation of Barnegat Bay’s natural environment, its role as a prime estuarine habitat and the various recreational as well as commercial fishing industries that depend upon the health and sustainability of this watershed. Island Beach State Park, one of the crown jewels of the state park system, offers a variety of interactive and educational nature programs, including Harvest the Bay, which was developed in 2013. Island Beach State Park interpretive programs are created and run through a partnership of the DEP’s Division of Parks and Forestry, the Conserve Wildlife Foundation of New Jersey, and the Friends of Island Beach State Park.